Ross Breen, Simon Greenall, Shelley Longworth et al. Join the 'Octonauts' in 2 special double-length adventures and 3 exciting missions. 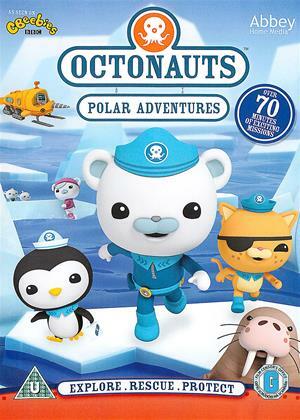 When the Octonauts go on vacation, Peso accompanies Barnacles to help his sister and her new polar cubs learn to navigate the harsh conditions of the frozen arctic in "The Great Arctic Adventure". In "The Over Under Adventure", a mission to explore Antarctica becomes a desperate rescue, as a group of sea stars and urchins are threatened by a brinicle, a rare icicle-libe formation that can freeze creatures on the ocean floor!